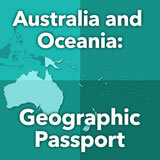 Students explore the early history of Australia, New Zealand, and the Pacific islands, including the early inhabitants and how they got there. Then they learn about the colonization that begin in 1788 and the later decolonization. They study the history of immigration throughout Australia's history. Then they read and create a timeline of New Zealand history. Finally, they research one event and explain its importance. 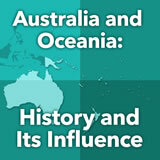 In this experience, students explore the early history of Australia, New Zealand, and the Pacific islands, including the early inhabitants and how they got there. Then they learn about the colonization that began in 1788 and the later decolonization. They study the history of immigration throughout Australia’s history. Then they read and create a timeline of New Zealand history. Finally, they research one event and explain its importance. Trace the settlement of Australia, New Zealand, and the Pacific islands by their first inhabitants. Describe the early history of the Pacific countries. 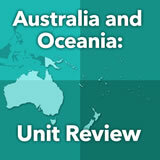 Analyze colonial rule and decolonization in Australia and the Pacific. In a region made up of islands, many of them quite small, how does a population develop? Where does it come from? 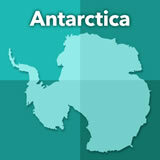 In this experience, you will begin with those questions and learn about the early history of Oceania. Then you will move on to explore the colonization and later decolonization of the region. 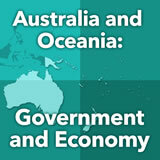 To begin your study, watch the following video through 0:57: History of Oceania. What is one fact that surprised you from the video? Why? Discuss student responses. They may comment on the way the early travelers among the islands shaped the geography of the region by introducing non-native plants and animals, bringing tools and farming methods, and harvesting timber. Some students will be surprised by the nuclear testing done on the islands in the twentieth century by the United Kingdom, France, and the United States.